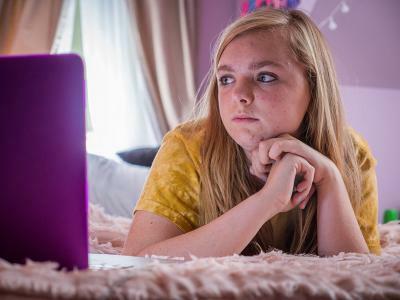 I didn't grow up with YouTube, Twitter or Instagram so I figured that Bo Burnham's directorial debut Eighth Grade would only be enjoyable as an outsider's look into this new generation of kids. I never expected to become so emotionally invested in the story and to find such a familiarity with the central character. The film manages this feat by focusing on a teenage trait that transcends all generational lines: a little thing called awkwardness. The film follows young Kayla Day (Elsie Fisher) as she tries to make it through the last two weeks of the minefield known as middle school. So far, her eighth grade year has been disastrous, but she tries to rectify that by attempting to make new friends, get the boy she likes to notice her and work on her life advice videos on YouTube.